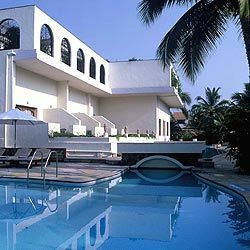 Haathi Mahal means the Elephant Place, and this outstanding hotel and condominium development is indeed a palace with something catering to every pallet. Walk into the pool and you get the feeling of excitement. But this is only the beginning if an exciting holiday experience. 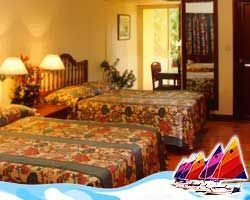 All suites throughout the complex are luxuriously appointed and centrally air conditioned. Enjoy the fine cuisine of two restaurants, three bars and an Olde English Pub. After an over-indulgent day of culinary pleasures, you can always spend an hour or two in the outstanding health club and gymnasium, or an hour in the air conditioned squash court. Perhaps a boat ride down the mouth of the river Sal and basking on the spectacular south Goa beaches are more to your liking—of an excursion into the mountains for a look at local wildlife and more. A wonderful resort consisting of fully air conditioned, studio, one bedroom and two bedroom units with a living/dining room, kitchen and patio, just perfect for visitors looking to sell, buy or rent a timeshare resale who like self-catering and lots of space. 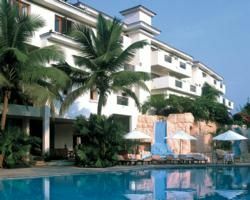 Royal Goan Beach Club - Haathi Mahal is a 10 minute walk from the renowned Goan beaches which stretch as far as the eye can see. Facilities include a 24 hour reception, out door pool and swim up bar, El Mason Restaurants, store, game room, book swap facility, volley ball court, masseuse and spa. 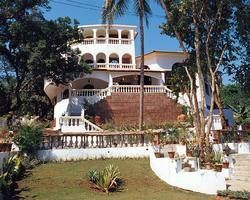 Located in the south of Goa, this resort is a development of apartments and villas, only a 15 minute walk from the sandy beaches which stretch for over 28 kms. The central feature is the 3-tier swimming pool with water slides, sunken bar, stream, jacuzzi and children's pool. 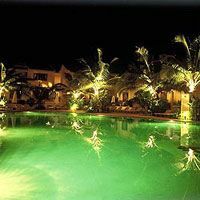 Contact Royal Goan Beach Club - Haathi Mahal Specialist Today!